If the phone crashes, is lost or stolen In such a situation, the loss is not just money, but the data on your phone is also lost. To avoid this, you need to keep cloud backup active on your phone, so that the next time you log in from your account, you can get the oldest data available. However, through this process, you can not back up everything, so you should keep creating your phone's regular backup. There are Thirty Party apps like Titanium Backup and Helium in the market, which help you to get an Android Phone Backup. But not every user can use it. Most users do not know how to back up their phones, or even refrain from installing ADB Drivers. There is no need to be disturbed in this, we will help you in this matter. Make a backup of Android smartphone in this way ..Backup to Cloud1. Go to Settings option on your phone. Then select Accounts and Sync. 2. Tick marks on auto-sync data in the accounts option. After that tap on Google, then select the Gmail ID through which you signed in on the phone. 3. Here you can select all those options, so that Google related information is synced with the cloud. It includes your contacts, photos, app data, calendar events, chrome tabs, your Google Fit data and more. 4. Go to Settings first, then backup and reset. In this way, phone settings, including app data and Wi-Fi passwords, will be saved in your Google Account. Whenever you use this Google Account, all of your preferences, photos (via Google+) and contacts will be automatically imported. These data are continuously synced, all you need to do is log in with the same account on another device. But through this process, the backup of the messages and many other types of data is not ready, you have to do it yourself. Back up the media, messages, and applications on the systemAfter this you will want to make a backup of music, movies and other media files. The method is very easy. Connect your phone to a personal computer and copy whatever data is on the MicroSD card. This is a manual process so you have to keep creating backups in the middle. Media1. Connect your phone to a computer via USB cable. If you use a Mac, then make sure that the Android File Transfer application is installed on your system. 3. Navigate to the SD card and copy all the files that you have to backup on your computer. 4. Once the files are copied, you can disconnect your phone from the computer. You can also save text messages and call logs on your Gmail account, for that you have to use SMS Backup + App. Follow the instructions below. 2. Open the app and tap on connect. 3. Choose your Gmail account in the pop-up. 4. Then allow SMS Backup + to access your Google Account. 5. Now go back to the app again and tap on backup. In this way all your text messages will be saved on your Gmail account. 6. After this you will log in to the web browser at any time and you will be able to see a new label named SMS. By clicking on it you can read all the text messages you have backed up. 7. To restore these messages, tap on the restore in SMS Backup +. 8. Then tap OK in the pop-up. 9. After this you will be asked to create SMS SMS Backup + default SMS app. You tap on Yes. This is necessary to restore the message. 10. Now the app will automatically restore the message and call log. Once this process is complete, the app will show a pop-up that restores your default SMS app. Select Yes. The appThe next step is to restore and backup the installed app. On the new device, you can easily download the app again using an old Google Account. Go to Google Play, tap on the three horizontal lines in the top left and then select My App. You can reinstall an application that was previously downloaded from there. On the other hand, if you made a backup on your computer, then it is easier to restore it. And this will require internet. It is very easy to do this. 1. Download ES File Explorer. 2. Swipe to the right of the screen, access the ES File Explorer homepage. 3. On the right side, the Android Robot icon has the APP below, tap it. 4. Hold on and hold an app until the check mark appears on the icon. 5. Click on the top right of the tick-marked icon, all apps will be selected with it. 6. At the bottom line you will see a backup, tap it. With this doing so, the entire apk files of all apps will be saved. 7. To see which apk files have been saved, tap on the user apps on the top. Select Backed-up Apps in Pop-up. 8. Any app can be installed by tapping on the apk file. You do not need internet for this. 9. To save a copy of these files on your computer, connect your Android phone to the PC via USB. 10. Your phone is not like pen drive option in My ComputerIf it comes, click on it. Go to Internal Storage, then select Backups and then Applications. 12. Copy and paste all the apk files here. If you format your device or change the handset then you can copy these apk files immediately. You can install these apps once again. For this you have to keep them in your folder on the same folder and follow the tips of numbers 7 and 8. By using these tips, you can use all of your contacts, text messages, media, applications, Wi-Fi passwords and a copy of your app data It will be a hassle to make backups of each one of the things you need one by one. The easiest way to make a backup of your phone is to use the third party backup tool. We used Titanium Backup and it is great, but it will require root access of your Android phone, this is not something that is common to ordinary users. Its interfaces for most users are highly screwed. Helium is a great app for those who do not know the rooting information on their phone. 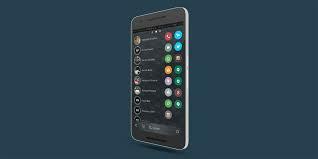 Its interface is also good, but it works on the selective Android Phones of the International Manifesto. If you have bought more mobile phones with Micromax, Karbonn or Lava, then you will not be able to use the Helium. Also, to use the Helium you have to install your phone's drivers on the computer too.